Not everyone is cut out to be the next Carlos Santana or Eddie Van Halen, but no matter how serious a guitarist you wish to become, learning your scales is paramount. That’s right, you can’t get around them. Not knowing at least your basic pentatonic and major/minor scale shapes is like going skydiving without understanding the concept of gravity. Learning your scales trains your brain to think like a musician, and whether you realize it or not, it will greatly enhance your understanding of music on all levels. Here are a few reasons why knowing your scales makes all the difference in learning the guitar. Most beginners aren’t able to transition between chords quickly or get them to sound clean and sustained for quite some time—especially when learning on an acoustic guitar. This is because it can take a while to develop the finger strength and agility needed to execute precise movements of the fingers on the fretboard. To play a chord flawlessly, a guitarist must first ensure the correct string or strings are being pressed by the correct fingers with the correct amount of force. Doing this for one chord is not so bad, but transitioning smoothly between multiple chords is tricky and takes practice. Learning your scales, if nothing else, builds finger strength and agility. Think of your scales as being a workout for your fingers. As you learn different scale shapes you might not notice it at first, but your hands are becoming stronger and more agile—exactly what is needed to effectively play chords. Learning your scales will save time and effort in all aspects of your playing, even if soloing is not on your list of priorities. Sure, I’ve simplified this a little bit, but our entire concept of music and harmony is based on manipulating scales. When we say “such and such a song is in G major,” we are simply stating that all the notes in all of the chords present in the song were taken from the G major scale. For you songwriters out there, guess where melodies come from? Scales. Guess where bass lines come from? Scales. I hope you skeptics are beginning to get the picture, but just in case you aren’t, here it is: scales are music’s building blocks, tying everything together and making the whole thing possible. To know music, you must know scales. Even if you don’t want to play scorching solos, knowing your scales comes in handy when trying to add flavor to your playing. Many guitarists hit a roadblock when they’ve learned their basic chords and strumming patterns. 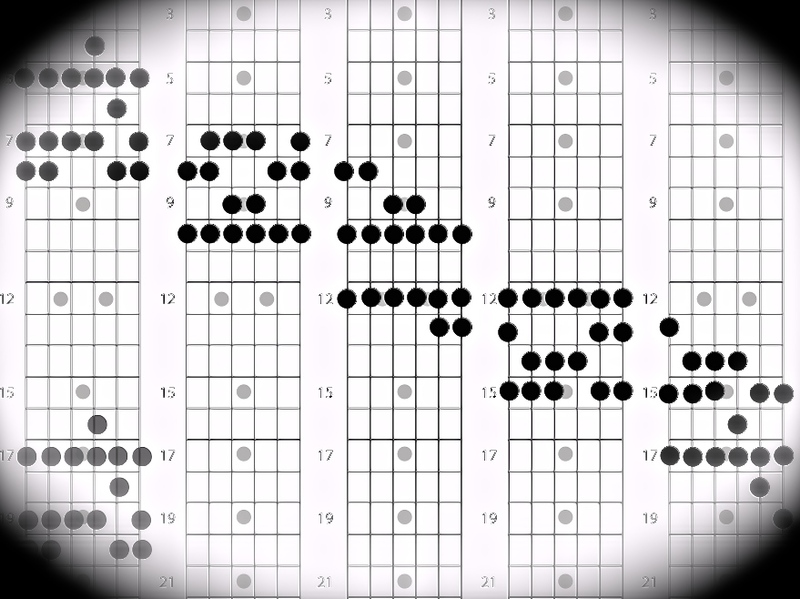 A wise musician once told me this: “It’s not about what chords you play, but how you play them.” Knowing how and when to embellish chords—and by that I mean adding some flare that goes beyond changing up your strumming—is most effective when you are able to see scales while playing chords (for example, the G major scale surrounding your G major chord). This might sound confusing, but all it really means is that knowing your scales will allow you to play other cool sounding notes that are in the right key but not necessarily in the chord you are already playing. Soloing is the manipulation of scales, chords and other musical ideas in a unique and personal way. I have simplified the concept of soloing quite dramatically in the definition above—but it doesn’t matter for the purposes of this discussion. The most basic practice of improvising on any pitched instrument involves playing and manipulating scales. If you want to be able to solo, you’ve got to know your scales. So there you have it—some practical and theoretical reasons for learning your scales. No matter how serious a musician you wish to become, take the time to learn at least the most basic scales on your instrument. If nothing else, they make the rest of your playing easier.